Valuable lessons for business and community leaders to get your message across and shine with the media! Do you want to become an effective media spokesperson for your business, organization or community group? 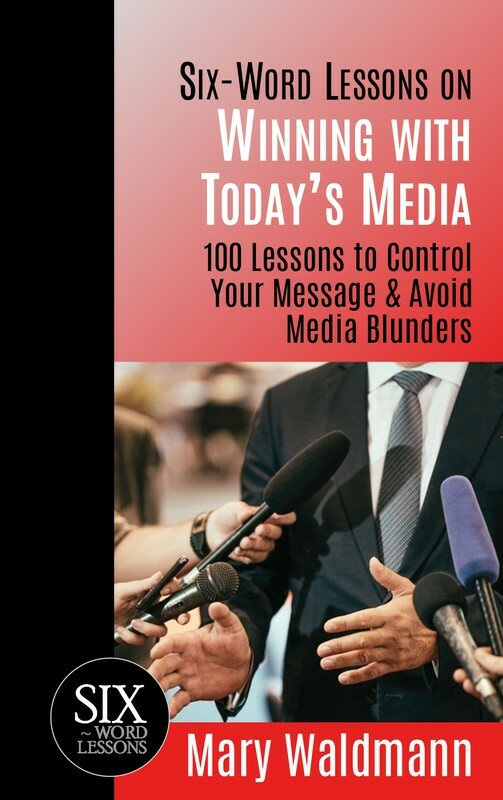 Six-Word Lessons on Winning with Today’s Media gives you 100 simple and practical insider tips for working professionally with reporters and other interviewers, and making sure your message is communicated effectively, whether in print, radio or television. Mary Waldmann’s career included serving as vice-president for media relations at a major Los Angeles public relations firm and a stint as Public Affairs Director and media spokesperson for the U.S. Department of Commerce. As president of Waldmann and Company, she trained numerous business leaders and government officials to be effective in media interviews and as speakers and presenters. 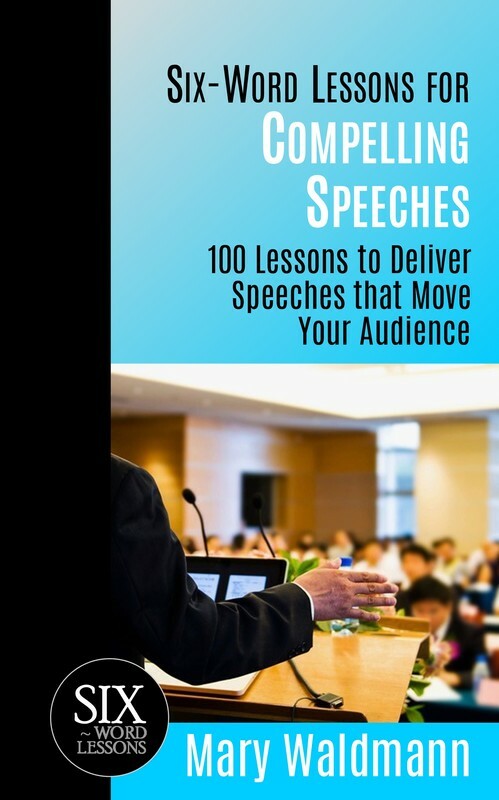 Get all the tools you need to deliver dynamic, effective speeches! Public speaking is a valuable professional skill. Six-Word Lessons for Compelling Speeches gives you 100 lessons to make you an effective and interesting speaker, whether you’re representing an organization or yourself. You can be engaging, entertaining and even have fun doing it. This book has all the tools you need to communicate a compelling message that will change and move your audience to action.